Nurok M, Czeisler CA, Lehmann LS. 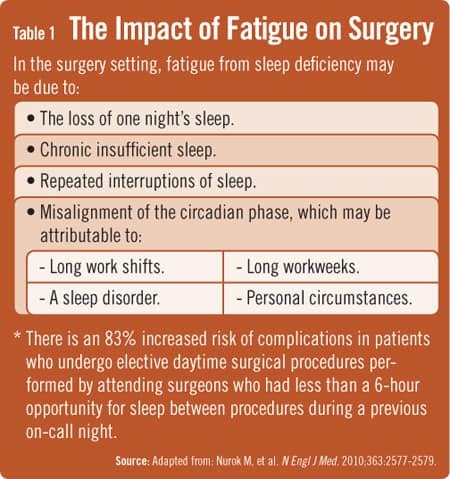 Sleep deprivation, elective surgical procedures, and informed consent. N Engl J Med. 2010;363:2577-2579. Available at: http://www.nejm.org/doi/full/10.1056/NEJMp1007901. Nasca TJ, Day SH, Amis ES. The new recommendations on duty hours from the ACGME task force. N Engl J Med. 2010;363:e3-e3. Rothschild JM, Keohane CA, Rogers S, et al. 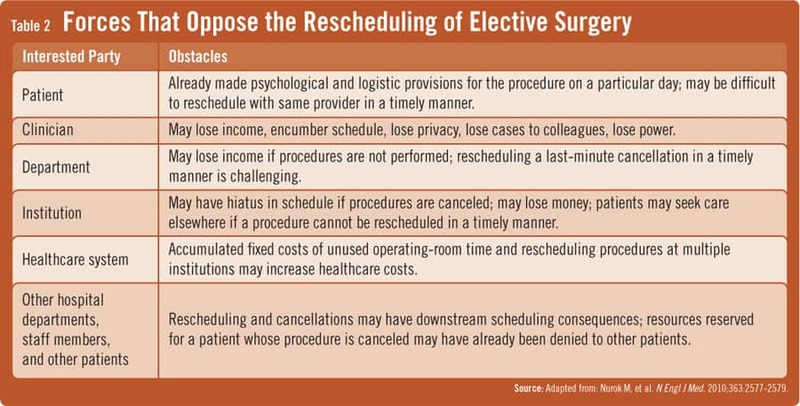 Risks of complications by attending physicians after performing nighttime procedures. JAMA. 2009;302:1565-1572. Blum AB, Raiszadeh F, Shea S, et al. U.S. public opinion regarding proposed limits on resident physician work hours. BMC Med. 2010;8:33-33. PreviousSmartphones: Clinical Communication Pal or Pest? Michael Nurok, MD, PhD, has indicated to Physician’s Weekly that he has worked as a consultant for Gerson Lehrman and has received grants/research aid from Partners Health Care and LAM Treatment Alliance.